Define Yourself at Fitness by Design. One-on- one gives you the most personal service. 30, 45 or 60 minutes of personal attention from a Fitness by Design expert personal trainer. 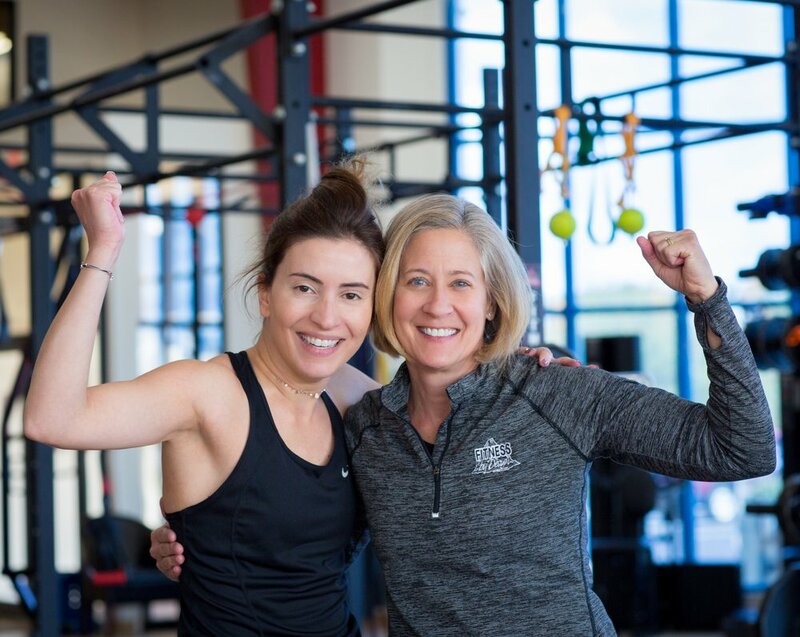 We begin with an in-depth Fitness Consultation, then conduct a thorough assessment of your current fitness level and develop your workout plan to meet your goals. Two clients sharing one trainer gives you a great deal of individualized attention and accountability at less cost than one-on-one. In order to personalize your exercise plan we strongly recommend individual Fitness Consultations and first workouts. After that, we team you up with your friend, spouse, co-worker, etc… to get the best workout at a great value. Participants typically have very similar schedules or flexibility in their schedules. Close friends, spouses, other family members, and business partners work well in two-on-one personal training. A similar physical capability is not required.